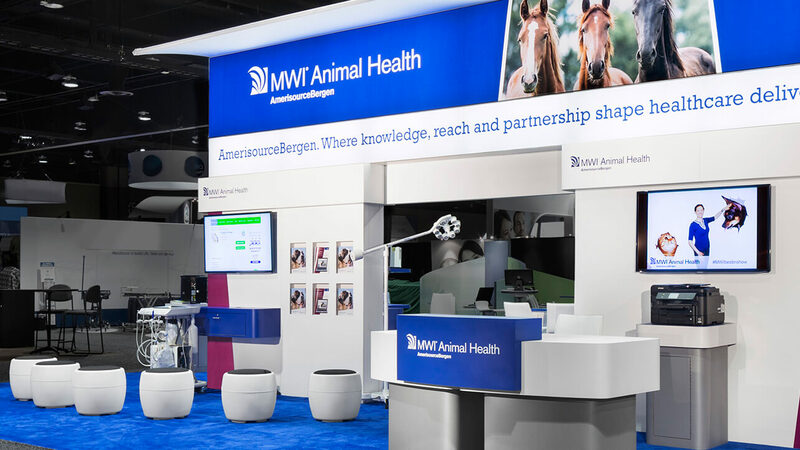 MWI is a top level distributor to animal health professionals, one of Access’ largest client segments. 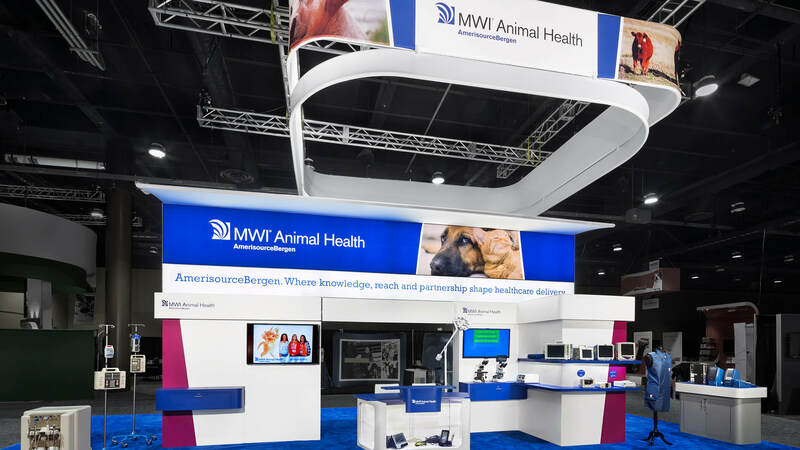 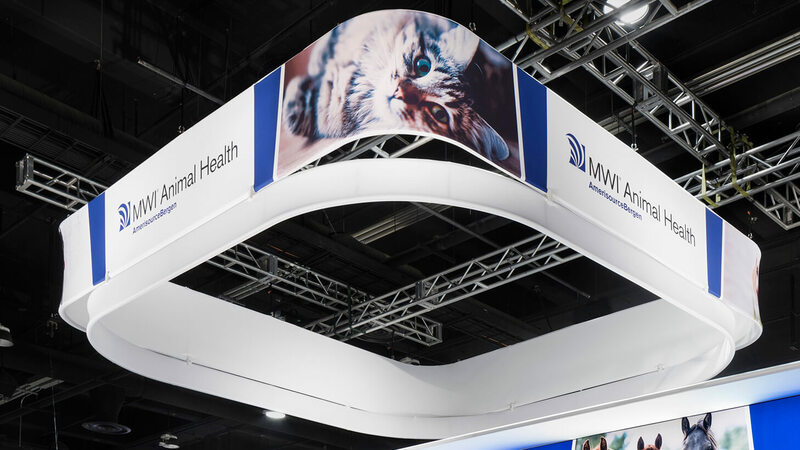 MWI serves the companion animal, equine, and livestock markets, delivering superior value, efficiency and innovation This reconfigurable modular exhibit celebrates MWI’s new corporate identity with a 20’ x 20’ hanging fabric sign that features 4 backlit LED panels. 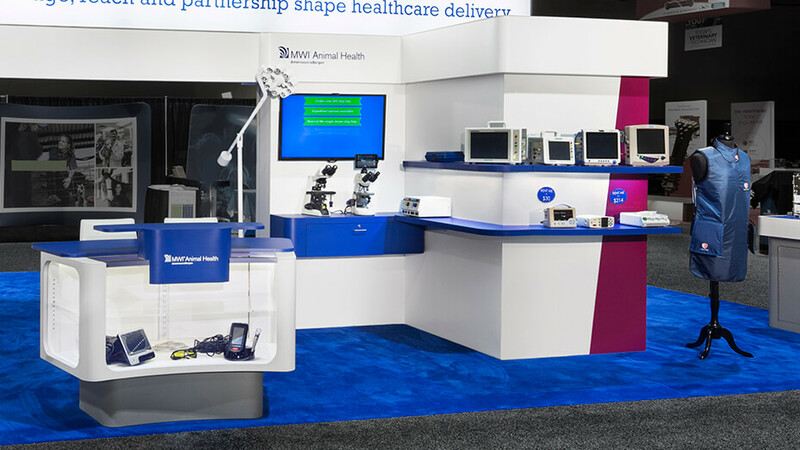 An open space for larger footprints can be used as a theater, a demo area, or a partner pavilion.